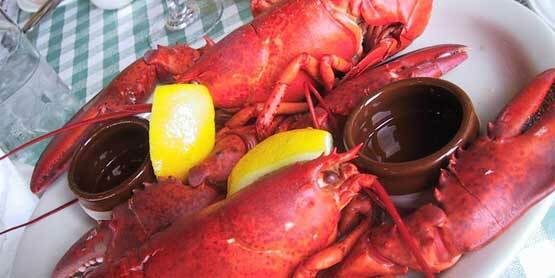 Enjoy fresh Nova Scotia lobster dipped in melted butter on St. Joseph Island! The Royal Canadian Legion is hosting it’s annual Lobsterfest event. This event is for family, friends and visitors to the Island and is a great way to kick off the summer season. The event also includes all the fixings and live musical entertainment. For those not in the mood for lobster, there is an option for steak and potatoes with salad and dessert. Cash bar available. Coffee, tea, dessert included. Reserved sittings are from 5:30pm to 7:30pm. Tickets must be purchased in advance at the Legion Office from 9am to Noon, or the Lounge from 4pm to close. 2015 Fact: the Legion served over 400 people with 200 kg of lobster and 140 steak dinners! Lobsterfest is one of the main fundraising events for the Legion.